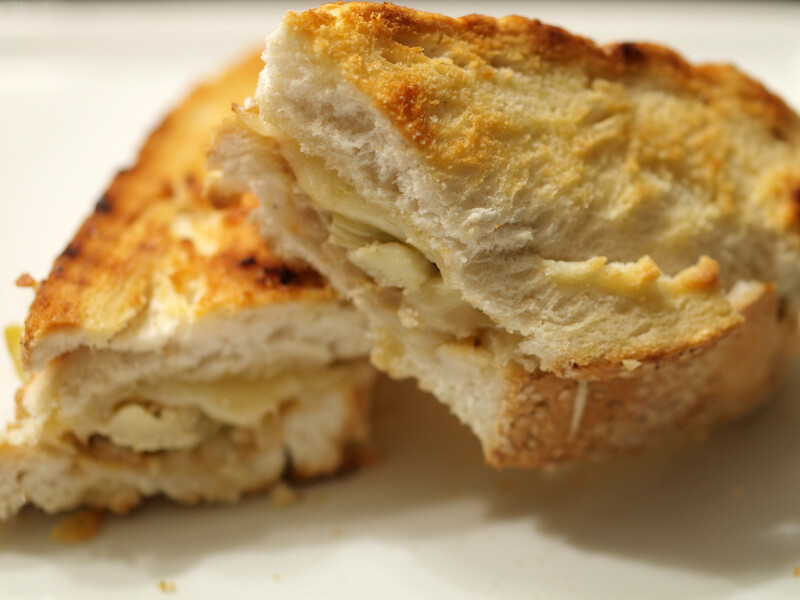 I had previously created a Laura Werlin original, Garlic Crusted Sourdough with Cheddar, and it was a huge success, becoming one of my more popular grilled cheese sandwiches. When I recently needed some quick inspiration, I decided to return to a known winner: Laura Werlin’s Great Grilled Cheese. 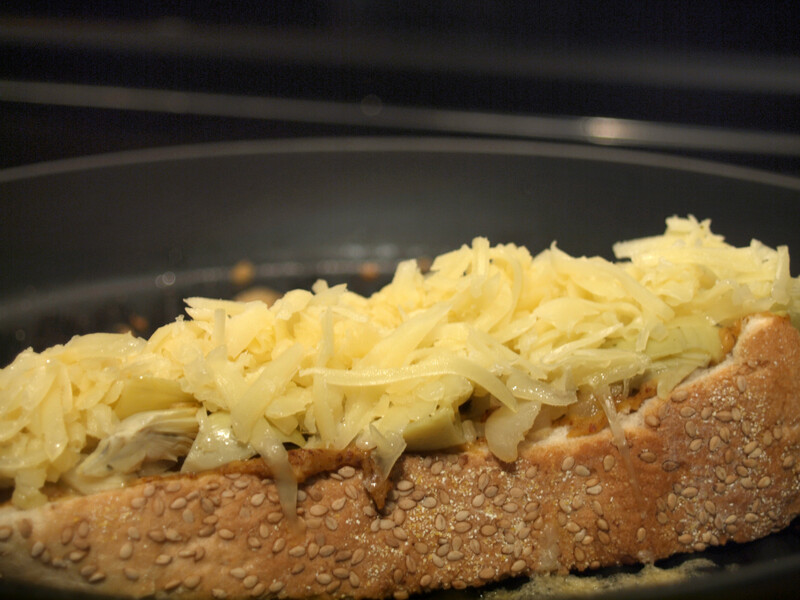 I wanted to make sure that my father would enjoy the grilled cheese so I chose one with his favorite cheese, Swiss, and one of his favorite vegetables, artichoke. 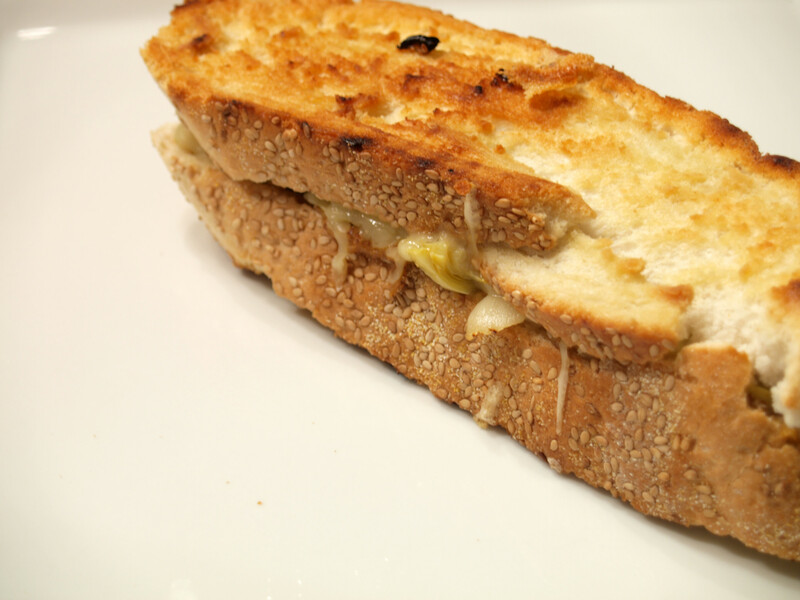 It was a great decision to make as both he and I enjoyed Laura Werlin’s Swiss Melt with Artichoke Hearts. There is no doubt in anyone’s mind that my father’s favorite cheese is Swiss. 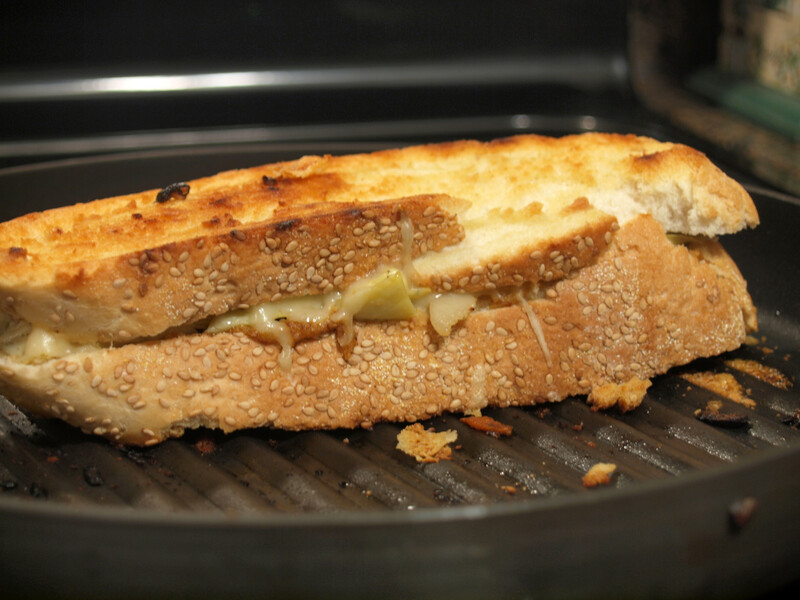 Therefore, when I was searching through Great Grilled Cheese to find inspiration, I was very excited to find a recipe that included Swiss. While searching through Miles Farmers Market, I made sure to find a local variety that I had yet to try. As expected, this particular Swiss tasted exactly as a Swiss cheese should: yummy. 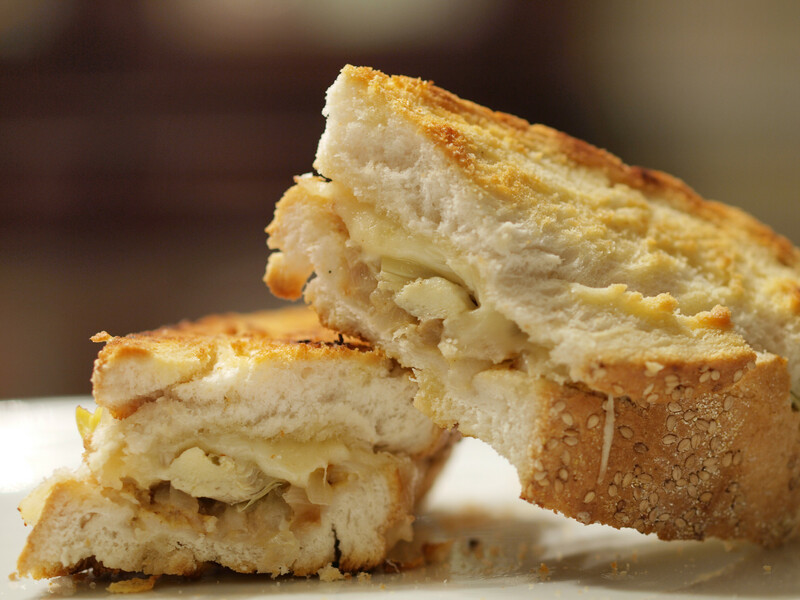 I knew very little about marinated artichoke hearts prior to cooking this grilled cheese. I thought it was a process best done by one’s self until I was informed by the sous chef that you could buy them pre-jarred and pre-marinated. Perfect. 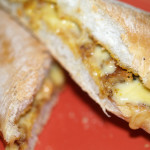 The hearts provided an awesome flavor to the grilled cheese, creating a great contrast to the horseradish dijon mustard. Who knew that 1 tablespoon plus 1 teaspoon Dijon mustard + 2 tablespoons prepared horseradish would create such an awesome, tangy flavor that would pair perfectly with marinated artichoke hearts? Not I. This “sauce” was the basis for my love of this grilled cheese and would be great with only cheese and bread (no artichoke hearts). I wonder how this combination would taste on salmon or even chicken. Both, in my opinion, would be great choices. All that was left to do was saute some onions with olive oil. The recipe calls for pain au levain, but since I was not 100% sure what that was and I was limited on time, I stuck with hearty Italian bread, which was also an option. 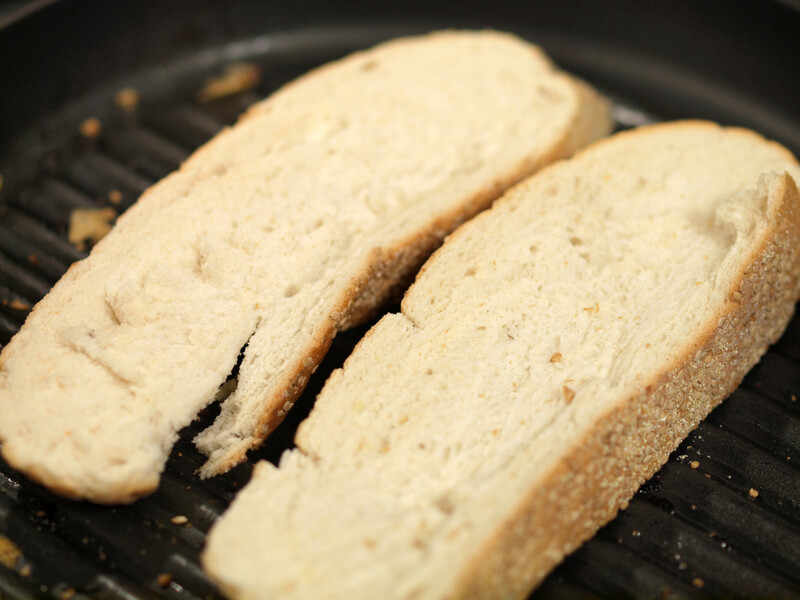 I have used this bread in other grilled cheese sandwiches and it has never steered me wrong…including this time. 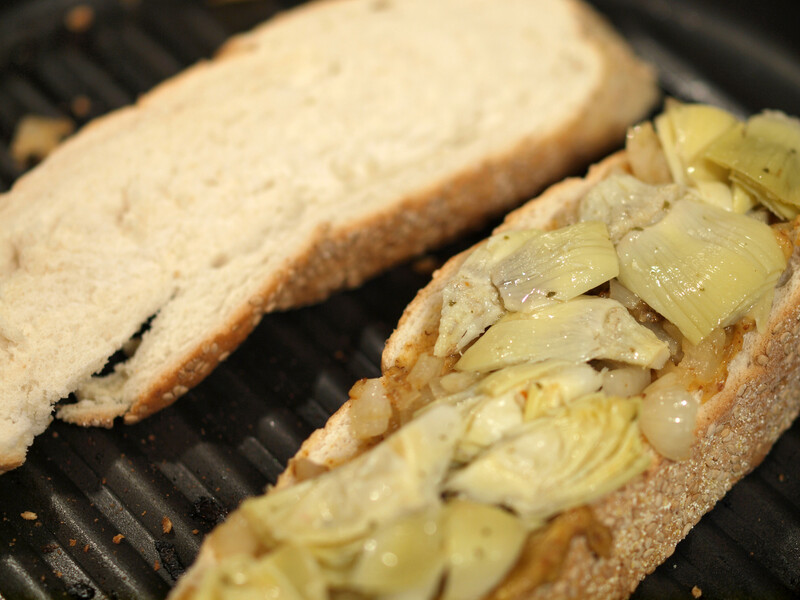 The combination of marinated artichoke hearts and horseradish dijon mustard created a flavor explosion in my mouth. 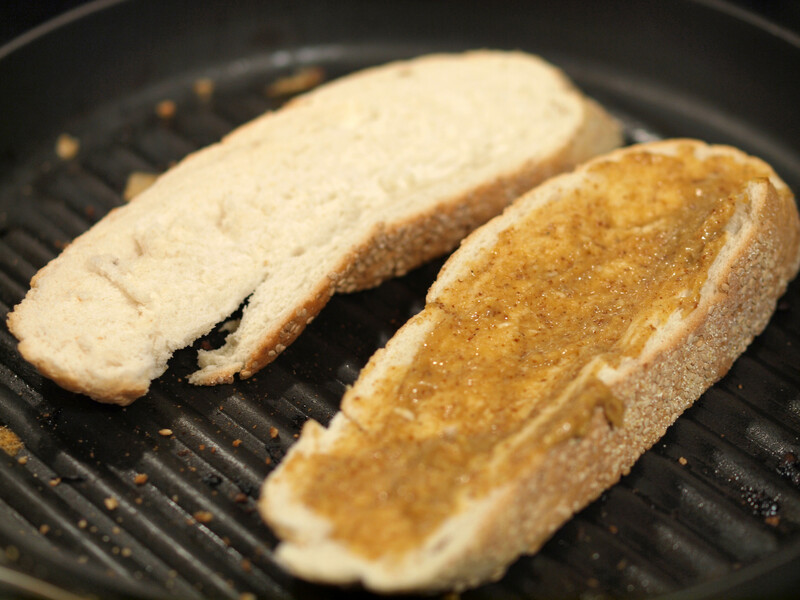 The tangy taste was perfect for a grilled cheese sandwich. 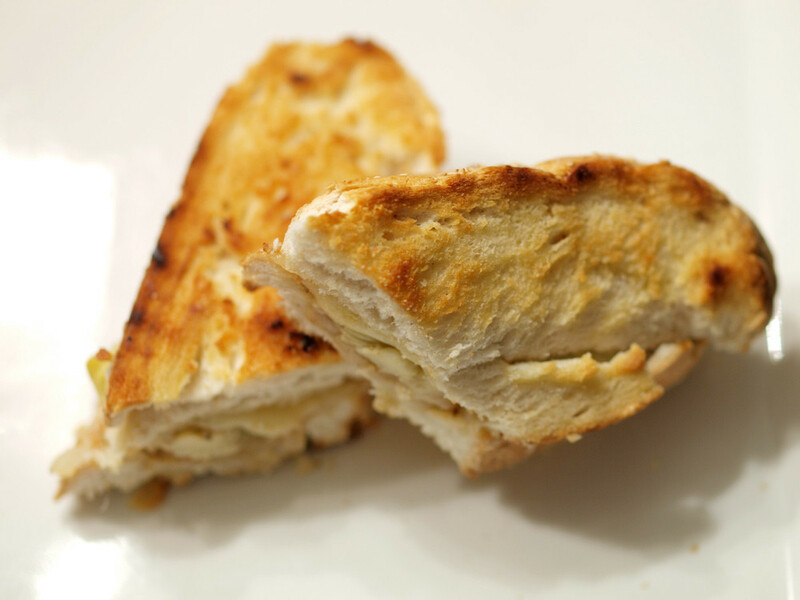 I like artichoke hearts by themselves, maybe with a little melted butter, but they are even better marinated and put on a grilled cheese sandwich. 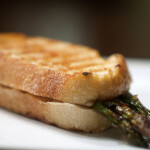 So far, Ms. Werlin has helped me cook two great grilled cheese sandwich recipes. I can be confident the next time I turn to Great Grilled Cheese, I will be in for a great treat. Editor’s Note: The recipe calls for bacon but since I keep Kosher, I left the bacon out. The sandwich was pretty amazing so I am not sure it is needed, but if you do eat bacon, I would recommend trying it. 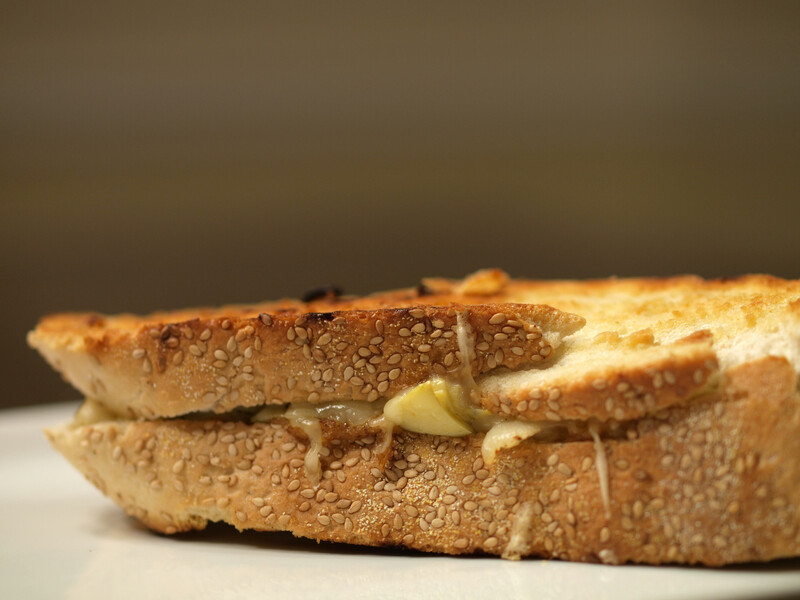 Posted in Grilled Cheese and tagged A, artichoke, artichoke hearts, horseradish, italian bread, laura werlin, mustard, onions, swiss. Wow, those flavors sound perfect and the pictures are gorgeous! Pain Levain is essentially a sourdough bread. The hearty italian looks like an awesome stand in! Thanks so much for the nice comment, Zom G. I will have to search out pain au levain as I really like sourdough. This looks awesome!!! I wanna try with with and without bacon. With and without grilled chicken!